I strutted into my new favorite clothing store, birthday gift card in hand, ready to purchase another round of professional work attire. Last time I had struck gold — four dresses, two button-downs and a blazer (for under $100)! But as I approached the first rack, something was different. Instead of colorful collared shirts, there were slinky clubbing tanks that seemed to have lost their midriff sections. The business-casual dresses were now bootylicious dresses shirts. Am I in the right place? Yep, same store! Ugh – I guess I will be giving this gift card to a skanky college girl. This is how not to build a brand – yet most people do this to their clients all. the. time. And I’m not referring to clothing stores, I’m talking to YOU! Here’s what happens in the online business world. Someone visits your website and absolutely loves the style of your banner image and reading your about page – they really feel a connection to you! So they follow you on social media and sign up for your newsletter! Score! Then one day as they’re scrolling through Instagram, they see this odd photo of someone getting drunk with their bestie on a Tuesday night or non-stop images of this random baby or constant pics of someone’s every meal… unfollow! Or you could be like this… someone is browsing Pinterest and finds one of your blog posts. They love the content and start following your boards. Your new blog posts end up in their feed all the time, and because the images have a consistent look, your new biz bestie knows exactly who posted them! She's anxious to read your every post, subscribes to your newsletter, and becomes your next client – boom! Creating consistency and cohesion in your brand, on all platforms, is crucial to building a loyal following and reaching your target clients! If you’re selling baby clothes… keep the infant photos coming! But for everyone else, you need to ensure your graphics always stay on-brand (with maybe an occasional personal photo thrown in there... as long as it matches your brand aesthetics)! There’s a super-simple solution to your branding problem: create a mood board! 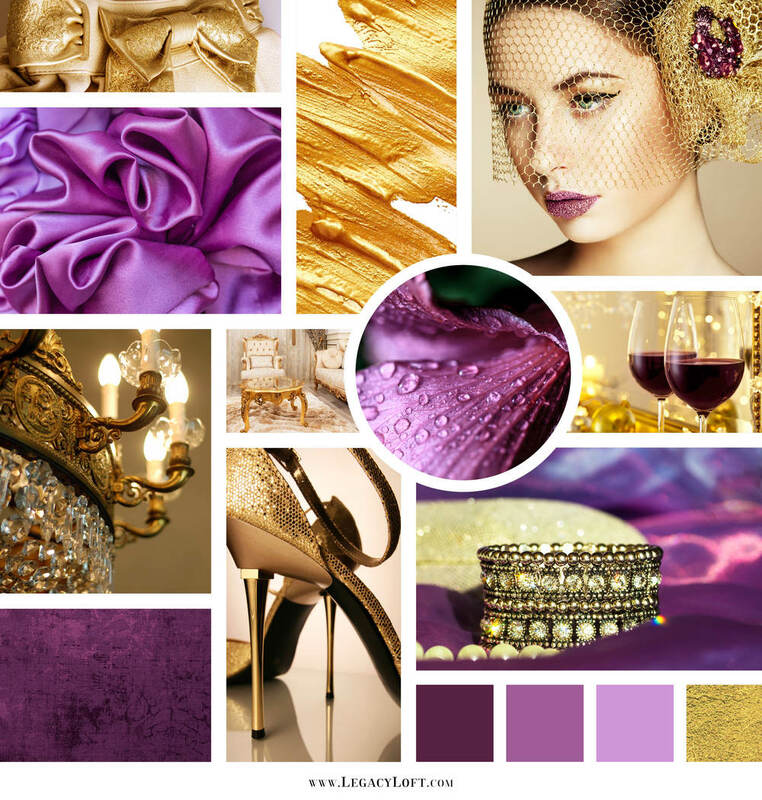 If you already have a mood board, start using it!!! 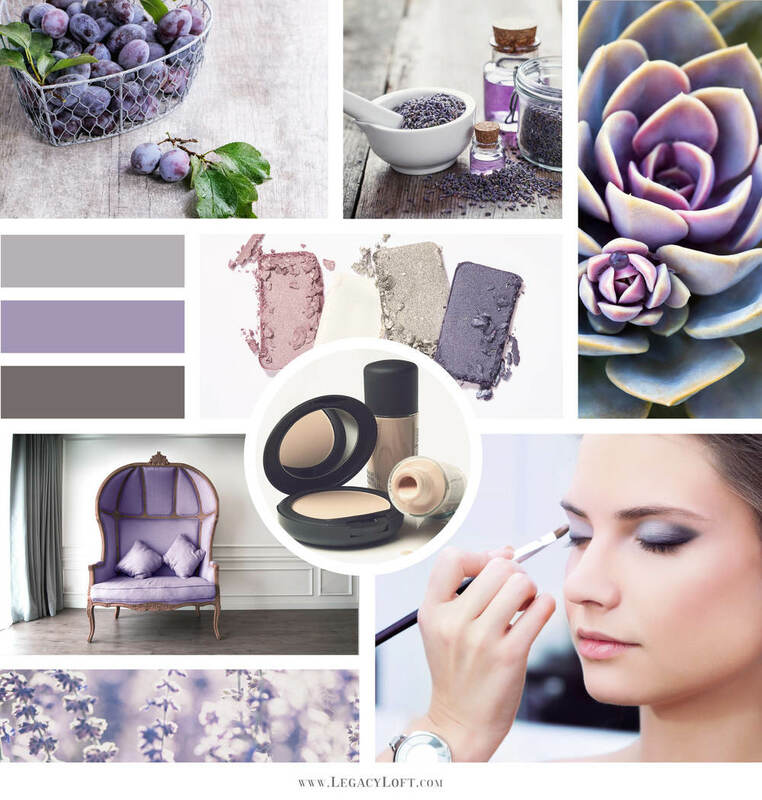 Mood boards aren’t just used to help create your original logo and website. They’re created to give you a visual guide as to what your whole look and feel should be. When building my brand, after going through my ideal client exercises, I realized teal was a great color to represent Legacy Loft (and it’s my favorite — not going to lie). I created one mood board with just teal and white. It was super calming, very clean and gorgeous, if I do say so myself! However, I realized that adding any other color to this palette would throw off the entire look of my brand! I'd never be able to keep a consistent Instagram account! So I scrapped that mood board, and added a range of colors to my branding. Navy, teal, muted mint, gray and lavender. Now this is a palette I can easily adhere to! By including an array of colors, I can even vary from them a little without causing an eye sore on my website or social! When you scroll through my Instagram feed, you’ll notice that every photo has a very cool tone to it, and my imagery is consistent. If the wedding invitations I design are in yellow or pink, I place them in a picture frame or iPad over a background that matches my brand style. I want people to see my graphics and immediately know, that’s Legacy Loft! People love familiarity! Did you know that our pupils actually dilate when we see something or somebody we know? Your brand should provide a familiar experience, building loyalty through recognizable and distinguished graphics! While the mood board is great for developing your branding and style, things could change slightly when you actually go to implement it. I was determined to use certain rustic florals in my branding, which I couldn't find a good photo of for my mood board. Instead, I directed my own brand photoshoot to include the exact look and feel I desired! My final images ended up on my brand board, which I'll get into next week! Let me know how you build consistency in your brand... comment below! Newer PostWhat's a Brand Without a Brand Board?